Recipe Categories Pork | What Goes with What? 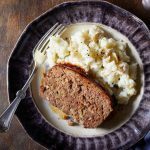 Meatloaf can be made 3 days ahead; wrap in foil and chill, or freeze for up to 3 months. Sausage And Peppers – Woody’s Way Four Servings Ok you say I can do sausage and peppers so who needs Woody to tell me how. Well I’ve worked up a version that is a tad more user friendly and creates a more melded flavor combination….